But will they rebrand it FreeDsat? Freesat MD Emma Scott has expressed her excitement about the prospect of 3D on the platform, and said the platform is 'actively looking' at the possibilities for the technology. An interesting interview on Join Freesat dealt with a range of topics including the current favourite 3D – and Scott was enthusiastic about the potential. "3D is very exciting and it's something we are actively looking at," said Scott. 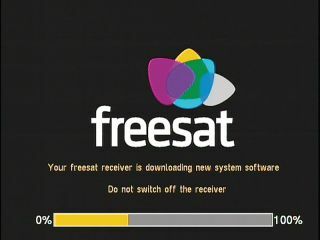 Freesat boxes are already capable of supporting the technology – although, as with all 3D broadcasts – a 3D enabled television set will be necessary to take advantage of any broadcast. "We worked hard to make sure that the first generation of receivers were as future proofed as possible – so the great news is that all HD Freesat receivers would be 3D compatible – if you buy a new 3D TV and the specs of course!" added Scott. "We will continue to talk to broadcasters about opportunities in this area." Of course, at the current time only Sky has indicated that it will invest in producing a 3D channel, with Sky 3D due to launch for consumers soon, but other broadcasters will be watching (progress, not the channel. Although they might do). Scott also talked about the pressure from Freeview HD - which has effectively taken away one of the unique selling points of Freesat, free HD. "Although it's not possible to dictate that broadcasters come onto Freesat, we will have as many HD channels as Freeview once 4HD joins," said Scott. "More importantly, beyond that Freesat has the capacity for far more HD services than Freeview – and given you can already receive our services across the UK, we will always be in a better position strategically."